There’s been a lot of talk about dragons and eggs in Fortnite lately, and now some players are convinced that they can hear the mythical beasts around the map. Players have already spotted some of the mysterious eggs that have been found and are thought to house the baby dragons or some equally exciting creatures, but now players believe they’re hearing the hatched versions of the dragons. In the clip below which was first spotted by Dexerto, G2 Esports streamer Dominik “RazZzero0o” Beckmann was playing in the late stages of a game when some sounds were heard as his squad battled near Polar Peaks. What sounds like a roar can be heard somewhere around the players, and the user who clipped the video and others who were watching were convinced that the noise belonged to a dragon. The supposed evidence of dragons above follows mixed reports from earlier in Season 7 when players claimed dragon noises could be heard if players traveled to the right locations. The idea that dragons could be somewhere around the map making noise isn’t too out of the question either considering the mounting evidence that’s appearing to suggest dragons or some creature of that nature will come to Fortnite. 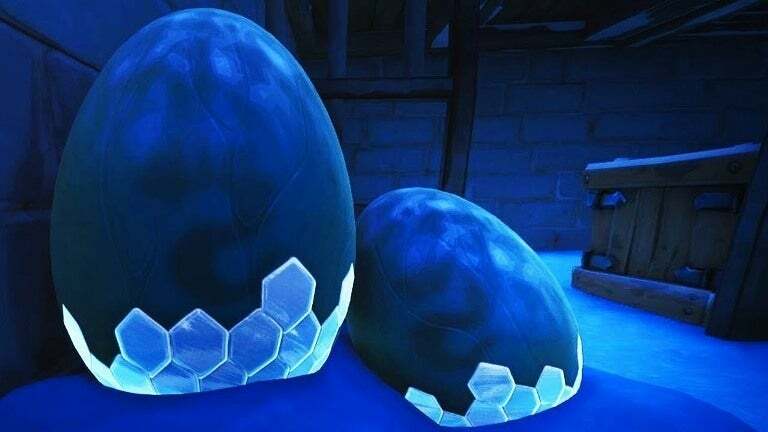 Large eggs with some creatures inside them have already appeared in Fortnite and can be approached by anyone who finds them, though they won’t do much. There will occasionally be noises coming from those eggs though, those sounds heard in-game after some leaks suggested that the eggs will be somewhat active with a heartbeat noise emanating from them. Those same dragon eggs were first found around Polar Peaks, the same area where the streamer in the clip above was fighting when the dragon noises were allegedly heard. What these dragon noises mean for Fortnite remains to be seen, but there have been some theories that it could be leading up to a Game of Thrones or How to Train Your Dragon crossover event considering new seasons and movies are coming this year, respectively. A dragon would be a force to be reckoned with in Fortnite, but it’s unknown whether or not the creature could even be controlled by a player or if it’d just go around annihilating players at random.